Members of the Aktion Club attended. 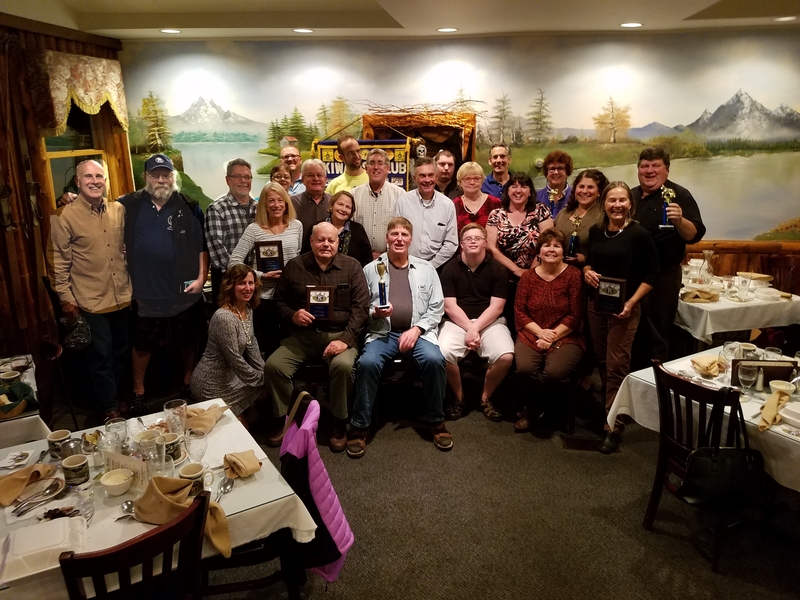 Plaques and trophies were given in recognition of outstanding service over the past year. Pictured, from left to right, back are: Patti Lawrence, Bob Lawrence, Rickie Sullivan, Don Moore, Dan Reilly, Kareen Tyler; center row: Roger Steinbreuck, Jeff Dickson, Keith Freeman, Judi Nisson, Lonnie Ford, Meg Holmes, Tim Holmes, Craig Stevens, Judy Periera, Dawn Rogers, Andrea Audi, Chris Covert; front row: Aggie Pelletieri, Bill Young, Bill Rich, Erik Viscardo, Renee Stevens and Donna Walsh.